Chaos Reigns: Who Do You Trust In The East? The Eastern Conference is a jumbled mess with 10 middling teams packed tightly behind the Cavaliers and Raptors. Which squads will rise above the fray in 2017? There have been all kinds of trends and lessons to emerge from the NBA's first two months, but as New Year's approaches, a few mysteries still remain. Namely, the East. Eighty percent of the East is pure chaos right now. Monday was a perfect example. I watched in person as the sixth-place Bucks took on a tenth-place Wizards team they had beaten by 27 points three days earlier. At the time, the blowout win seemed like more confirmation that Giannis Antetokounmpo and Jabari Parker had officially arrived and that the Bucks are a playoff-bound team. On Monday, Giannis got wherever he wanted again for the first three quarters, and the Wizards didn't have a real answer. It all made sense. Then the Bucks blew a 10-point lead, John Wall and Bradley Beal took over the fourth, and Otto Porter sealed the win for Washington with a three in the final minute. The sixth-place Bucks are now the eighth-place Bucks as of Tuesday morning, and the Wizards are only half-a-game behind them. Elsewhere Monday: An inconsistent Bulls team bounced back from a Christmas night blowout to survive an inconsistent Pacers team. The Pistons, losers of five straight before Monday, beat a LeBron-less Cavs team by 15 points. The Magic beat a healthy Grizzlies team by 10 after leading by 25 at halftime. The fourth-place Hornets traveled to Brooklyn and lost on a buzzer beater. The Hawks, who started the year 9-2 and beat the second-place Raptors 10 days ago, went to Minnesota and got blown out by a Wolves team playing on the second night of a back-to-back. If all of that information is hard to process, don't worry. The East is hard for anyone to process right now. As of Tuesday, a total of four games separated the No. 3 and No. 12 seeds. Outside of LeBron and the Cavs and a surprisingly well-oiled Raptors machine, all of this is a mess. A combination of overachieving bad teams and underachieving good teams has given way to a hierarchy that changes on a nightly basis. So here’s the question: Which of these teams are actually good? Who from the East can be trusted to keep it together in 2017? Here's an attempt at sketching out some clarity before the new year. Cavs (23-7). LeBron might play in the Finals until he's 50 years old. And, actually, Richard Jefferson might be 50 years old right now—and he's going to the Finals. Raptors (22-8). 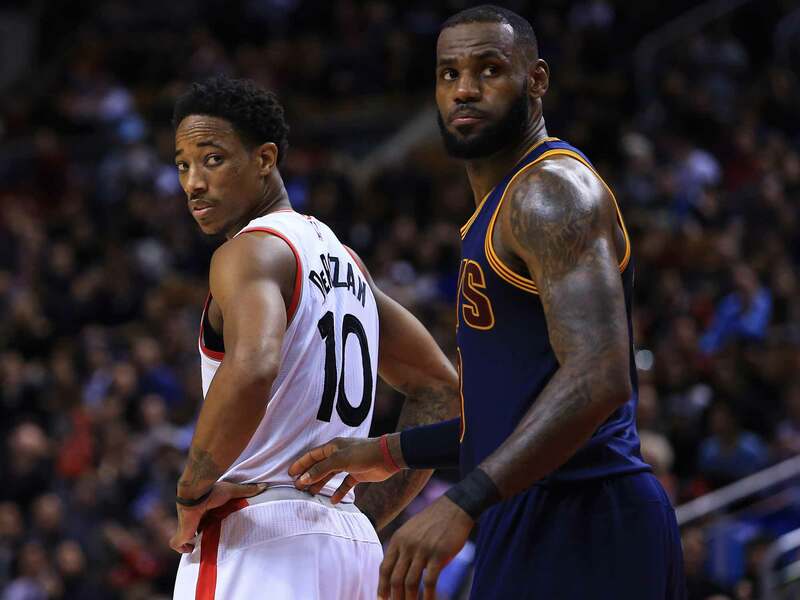 Toronto can't beat Cleveland without some luck, and I'm not sure I totally trust the Raptors to make it to the Eastern Conference finals, but this is an article about the regular season. DeMar DeRozan started the year putting up Jordan numbers, and while he's fallen off since then, Kyle Lowry has (24/7/4) has played like an MVP candidate over the past month. Meanwhile, there's a strong possibility they upgrade the frontline before February. The Raptors are definitely trustworthy. Celtics (18-13). The case for the Celtics is simple: between injuries to Isaiah Thomas, Jae Crowder, and Al Horford, Boston spent various stretches of the first six weeks playing without one or more of the team's three best players. Now that they're all healthy, we should see more of the elite two-way game the league expected initially. The counterpoints? Isaiah Thomas is a human with limits, and relying on him to carry the offense for five months is a little worrisome. The defense and rebounding haven't been great even with Horford on the floor. Also, they were supposed to have turned the corner last week, but then they blew a home game to Russell Westbrook last Friday, and nearly gave away a big lead to the Knicks on Christmas. Still, Brad Stevens is probably the tiebreaker here. When in doubt, everyone can trust Brad Stevens. Hornets (17-14). 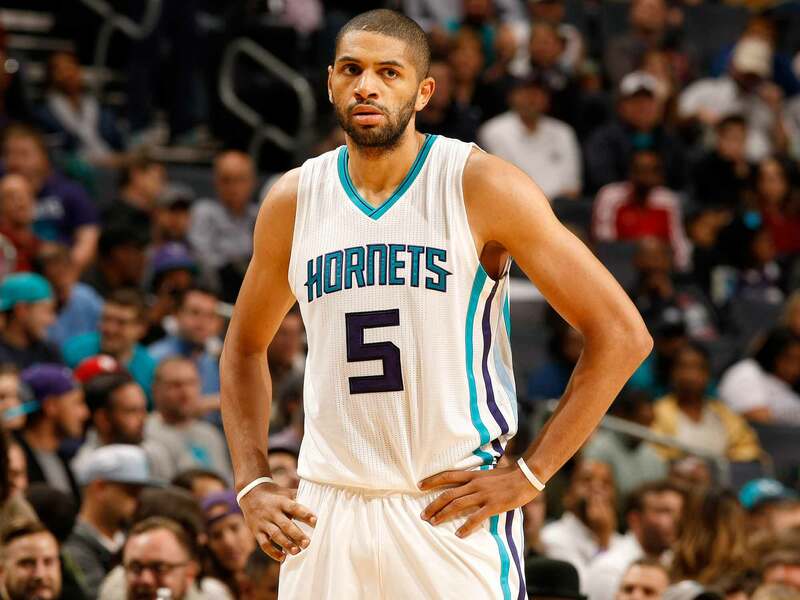 The Hornets are a trickier case. Nicolas Batum and Marvin Williams have both struggled after signing big contracts, and Kemba Walker can only do so much. This is a team that regularly relies on Marco Belinelli for offense and plays Roy Hibbert double-digit minutes. The combination of Steve Clifford's defense and Kemba's stubborn offense is enough to make them competitive with anyone, but they can be beaten by anyone just the same. I trust them to find a way to make the playoffs. Beyond that, all bets are off. Bucks (14-15). The Bucks have some real red flags. They are heavily reliant on guys like Matthew Dellavedova and Jason Terry in the backcourt. Jason Kidd isn't a bad coach, but after three years, he hasn't shown many signs of being a great one, either. Greg Monroe's role changes every other week. If teams protect the lane against Jabari Parker and Giannis Antetokuonmpo, it’s up to Tony Snell and Dellavedova to hit shots, and then you remember why Khris Middleton was so important to this team. The Bucks are trustworthy solely because of Giannis. He’s already harder to guard than almost any player in basketball, and he makes life so much easier for everyone else on the floor. More importantly, he's hit the league like a tidal wave this year, and big picture, I can't imagine that experience involves missing the playoffs. Knicks (16-14) and Bulls (15-16). One of these teams is probably missing the playoffs. For the first few weeks, it looked like it would be the Knicks. Now, though: Derrick Rose is playing well, Carmelo is still Carmelo, and Kristaps Porzingis has a real case for making the All-Star Game. The Knicks should absolutely be trustworthy, but can anyone ever really say they trust the Knicks not to screw up? Meanwhile, after a surprisingly solid start the Bulls came into Monday's Pacers game having lost six of seven, including two humiliating losses to the Bucks, and two games to East peers, the Hornets and Wizards. But there is still a ton of talent to keep them competitive night to night, and Dwyane Wade dragging this team to the playoffs would be a perfect coda to a career of spitefully silencing his critics. It comes down to Fear of Wade vs. Faith in Porzingis. Really tough call. Wizards (14-16). I’m a Wizards fan who deeply identified with this weeping child in mid-November. However… When healthy, their starters are better than anyone on this list but Boston, Cleveland, and Toronto. Wall and Beal are both hitting at an All-Star level now, and Otto Porter is hitting at an "I'm about to be a $100 million role player" level. They've won 7 of 10, and there's a chance this team is just now hitting its stride under Scott Brooks. The case against them? Beal has never once stayed healthy for a full season. The bench has four or five guys who might not belong in the NBA. Marcin Gortat is too old to average 40 minutes all year. These red flags are gigantic and should probably be blinding to all reasonable observers. But honestly, I feel pretty good about where the Wizards are going. Pacers (15-17). The offense isn't great, the defense has gotten worse, and listen to Paul George venting about foul calls after the Bulls game: "Since I've been in this jersey we've always fought this battle," George said. "Ever since I've been playing, ever since I've been in this jersey we've fought this battle. Maybe the league has teams they like so they can give them the benefit of the doubt. We're the little brother of the league. We're definitely the little brother of the league." 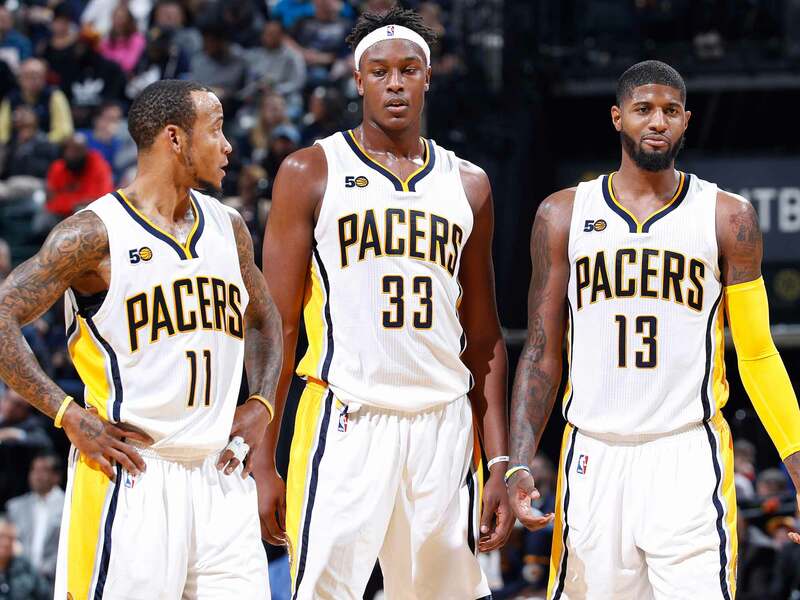 I'm worried about the Pacers. Hawks (15-16). Dennis Schroeder and Dwight Howard are more talented than Jeff Teague and Al Horford, and about half as dependable. Kent Bazemore is shooting 27% from three. They've gone 6-14 since starting the year 9-2. Kyle Korver is too old to save the offense, and guys like Tim Hardaway Jr. and DeAndre Bembry are too young. The argument for the Hawks making the playoffs is basically: "The Hawks always find a way to make the playoffs." It's a solid case. But then, "Dwight Howard always finds a way to disappoint you" is a pretty compelling counterpoint. Pistons (15-18). The Pistons did a wonderful job surviving without Reggie Jackson, and then Jackson returned, and the season fell apart. They'd lost 6 of 7 coming into Monday night's Cavs win. Andre Drummond has been solid as poor man's DeAndre Jordan, but he hasn't really progressed over the past 18 months, and the same could be said for the entire team. The talent across the board is just a little bit underwhelming, and when you couple that with newfound ball movement issues, it gets harder to flourish. It doesn’t feel great to doubt Stan Van Gundy, but it's just as tough to believe in Jon Leuer and Marcus Morris as solutions for the next four months. Magic (15-18). Orlando has won three out of four and is only 2.5 games out fifth place, but no, the East is already complicated enough without one more playoff contender. A line has to be drawn somewhere. I’m not trusting a team that’s trying to play five big men in two spots, and changes the rotation every two weeks. ...and there is the list as of December 2016. While others may have different choices for different categories, we can all agree that there are 10 almost-good teams in the East. Some are old, some are young, some have stars, and some are trying to make this work with B-level talent. What’s important is that all of them have an opportunity, and the next few months will be a wonderful mess.